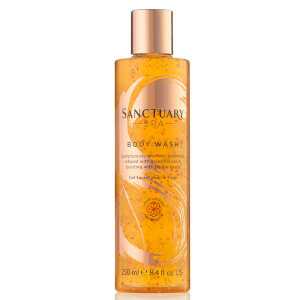 Awaken your skin and senses with the Sanctuary Spa Body Wash; an aromatic formula infused with revitalising essential oils to leave you feeling refreshed and rejuvenated. Fortified with Jojoba beads, the luxurious shower gel transforms into a delicately scented foam that effectively cleanses and moisturises from top to toe. Long-lasting fragrance technology with fragrance-boosting captives ensures the sensuous scent of Patchouli, Sandalwood and Jasmine remains on the skin even 12 hours after use. 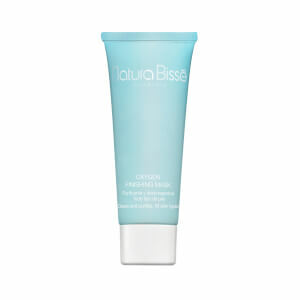 Massage onto wet skin and rinse. For best results use with a shower puff. Finish your shower with a blast of cold water to close pores and awaken your senses. Aqua (Water), Sodium Laureth Sulfate, Glycerin, Acrylates/C10-30 Alkyl Acrylate Crosspolymer, PEG-40 Hydrogenated Castor Oil, Phenoxyethanol, Sodium Benzoate, Sodium Hydroxide, Parfum (Fragrance), Benzyl Alcohol, Butyl Methoxydibenzoylmethane, Propylene Glycol, Sesamum Indicum (Sesame) Seed Oil, Aluminum Starch Octenylsuccinate, Agar, Simmondsia Chinensis (Jojoba) Seed Oil, Tocopheryl Acetate, Chlorphenesin, Mica, Polyquaternium-39, Tin Oxide, Hexyl Cinnamal, Linalool, Limonene, Benzyl Salicylate, CI 73360 (Red 30 Lake), CI 15985 (Yellow 6), CI 77891 (Titanium Dioxide), CI 16035 (Red 40), CI 42090 (Blue 1).